Just like that, the end of the school year is approaching. I have mixed feelings about this as this year is slightly different for us. Roo is counting down her final weeks of primary school – it doesn’t feel like two minutes since she started at the schools preschool. I can still remember how beautiful and grown up she looked in her school uniform. Now she is completing her SATs, preparing for one last school residential and eagerly awaiting the transition week across to high school for a taster of things to come. Her primary school journey has been a mixed bag for her but with every hurdle, she has taken it all in her stride. Finding her place in the class, school and in the hearts of all those she meets. As the end of the school year approached I’m encouraging Roo to celebrate the friendships that she has formed during her time at primary school. As someone who has attended three schools since she started reception class, and she has been fortunate to gain some wonderful friends. 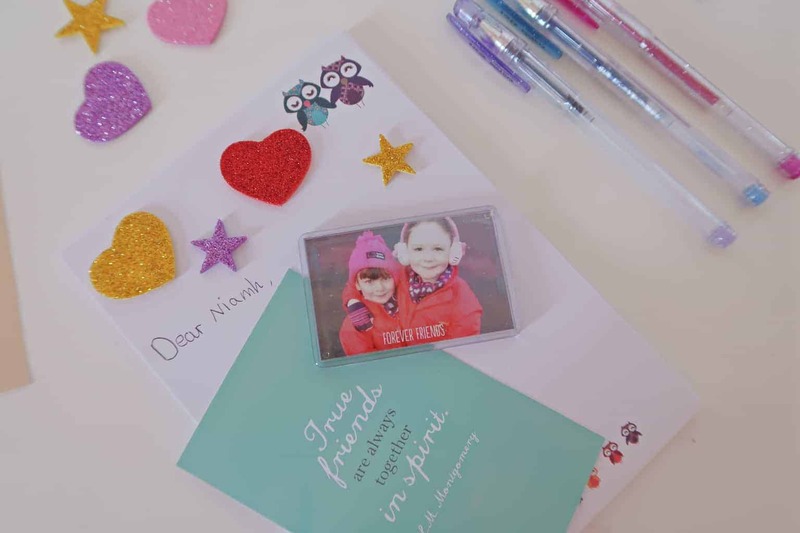 To highlight the importance of friends in her life we have been gathering photos and a friendship quote to go along with a special letter. Selecting photo magnets from Snapfish, we’ve had such fun going through old photos to find the right ones to order for her friends. 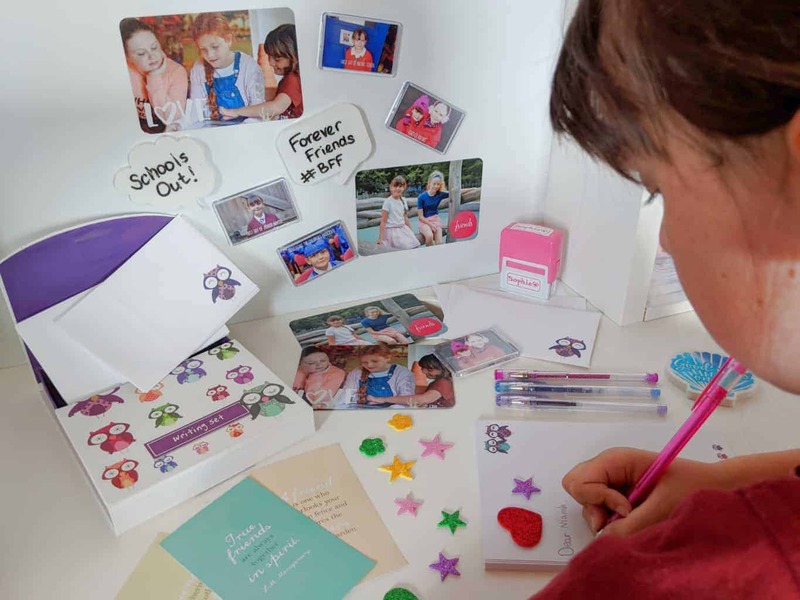 Starting by browsing the Snapfish website to gather inspiration for the gifts we wanted to share with her friends. As soon as we spotted the photo magnets we knew that these would be a fun gift idea and could be placed above desk spaces, on the refrigerator or next to their mirrors. Going into the project I had one particular photo in mind that I knew I wanted to print. Roo and Niamh have been friends since they started in preschool at age 3. Together through infant school and part way through junior school until Niamh moved to another school in the area. After which we then moved out of the area. They are still firm friends to this day, getting together as often as busy family lives allow – as though no time has passed. This photo was taken one school run morning and has to be one of my all-time favourites. Selecting the other photos was quite difficult as every photo holds a memory. From days out together, school activities and ones just catching up with each other. Finally narrowing it down we turned to friendship quotes to add to the package. With some beautiful ones available by completing a web search. 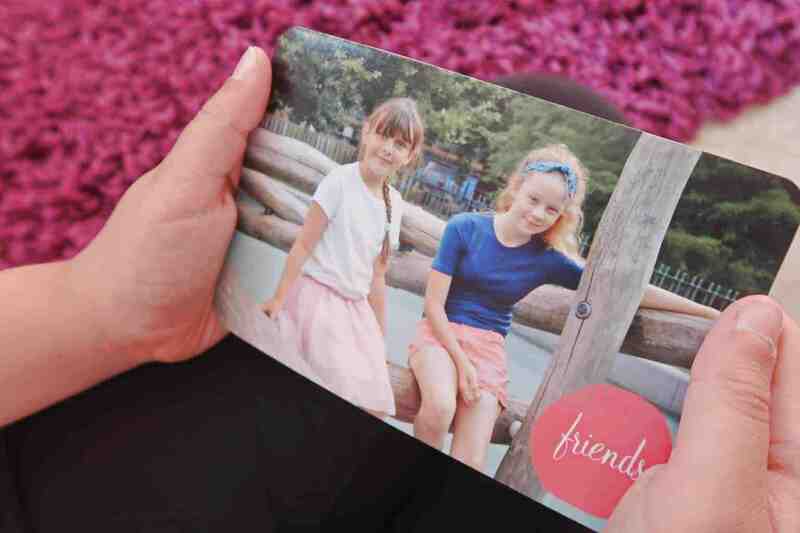 With three chosen, each to match her friendships, we had these printed as glossy photo prints. With delivery taking less than a week, we were thrilled with how our photo gifts turned out. The remaining part of the gift was to write a thank you letter to send alongside the gifts. This turned out to be a much harder task. How do you say thank you to the people in your life who are there for you through thick and thin? Who has your back no matter what you say or do? I do have an ulterior motive for celebrating these friendships she has made. These friends have also brought some special ladies into my life in the form of their mums. These ladies brighten up the school run and provide hours of entertainment. I feel as though I have known them all my life and so thankful that our respective daughters brought us together. Whilst I was going through the photo files I managed to find some of Roo’s school milestones. Her first day at infant school, junior school and even when she graduated the Children’s University. 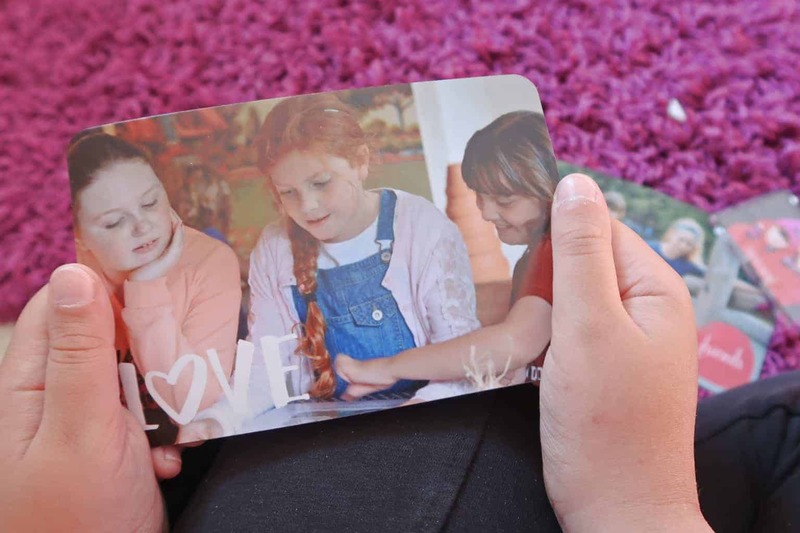 Opting for acrylic photo magnets as these could be added to her magnetic whiteboard above her desk or stood up on her windowsill. How do you mark the end of the school year? Do you do something special for your children’s teachers? Or do you create a special photo book capturing all the school fun that has happened that year? I love the magnets! I think its so important to print pictures out, they get so lost digitally! 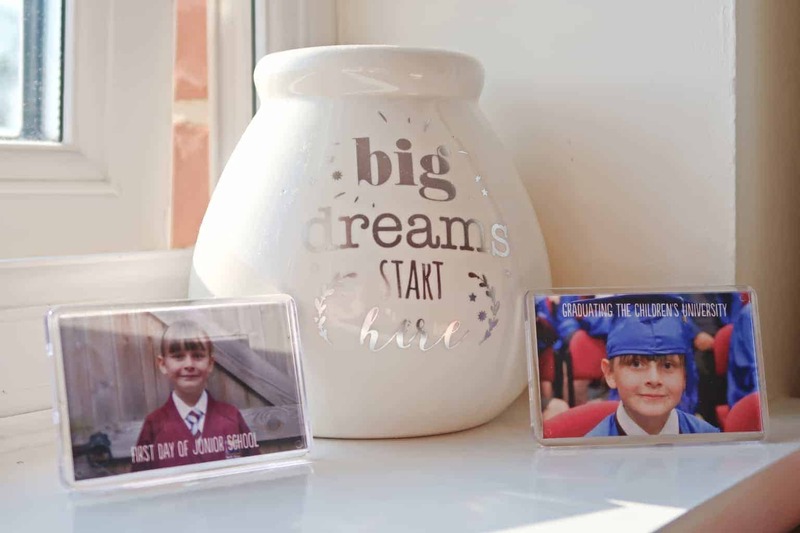 Celebrating the end of Primary School with photographs is a brilliant idea. I love the magnets as gifts too. I wish I had thought of something like this when my daughter was leaving Primary. I hope Roo enjoys the last few weeks before breaking up.